Hello and Happy Monday!!!! I hope you had a good weekend!! Here in southern Iowa we've had a couple tastes of Spring and then winter again. We are supposed to have some more Spring-like temps again this week. 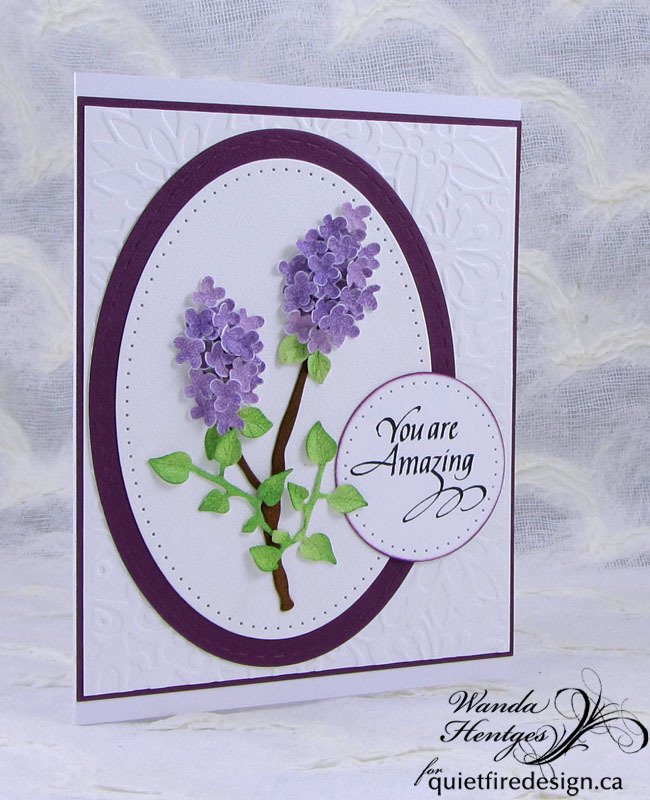 I'm looking forward to our large lilac bush blooming and even more, walking through the yard and smelling that they are blooming. 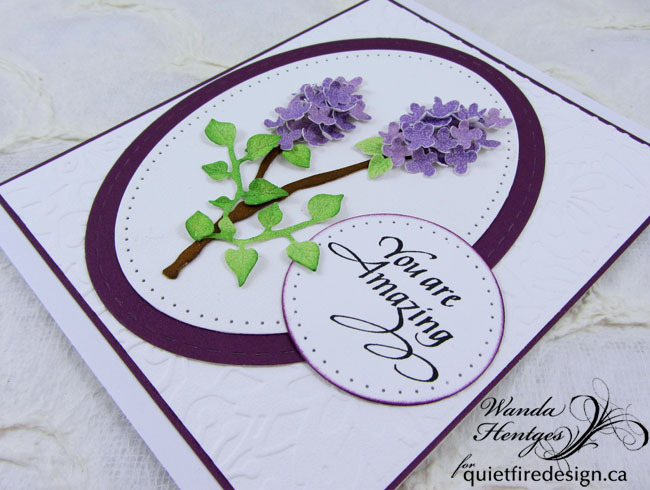 In the meantime, I thought I'd make my own lilacs and I've combined them with the You are Amazing Quietfire stamp. I think we all have someone in our life that is extra-special and that we would even say that they are amazing. Thanks so much, Late Blooming!!!! 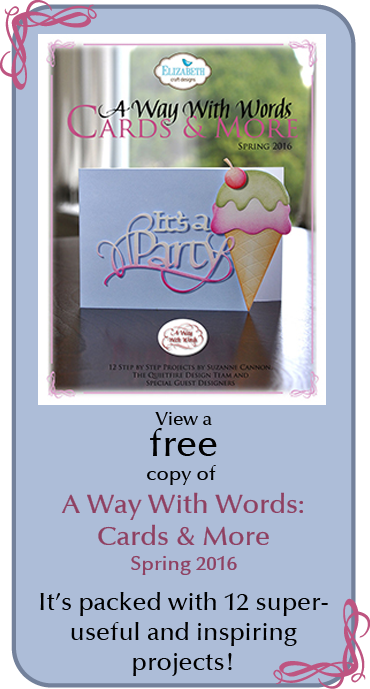 Love this CAS card! 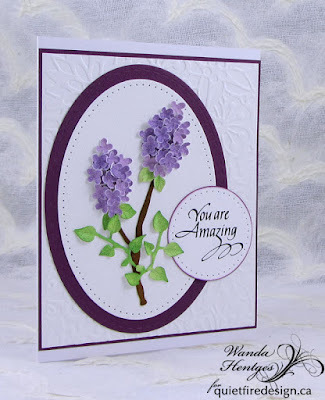 The embossing and the lilacs really bring it to a whole new level! 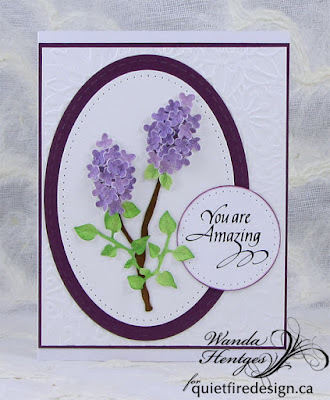 You never cease to amaze with your wonderful cards, Wanda!! Gorgeous! !